Our time traveling as FiveBadTourists through Peru was quickly coming to an end. My older sister, Tasia, and her husband, Adam, had a flight to catch in Puno the following day after our visit to Machu Picchu’s glorious ruins. The plan was to take the train from Machu Picchu back to the town of Ollantaytambo arriving at 7:30pm. Then we’d have to take a two hour van ride back to Cusco to catch an overnight bus that was leaving for Puno at 10pm. This gave us only a thirty minute buffer so we didn’t have a minute spare! Luckily we were able to make it to the bus station in Cusco on time before our bus departed. As we arrived frantically at the ticket counter we were relieved to see that the bus didn’t actually leave until 10:30pm. What luck! The only problem then was that we didn’t have tickets for the bus -which was filled to capacity. Minor flaw in our plans. Apparently the travel company we used (and had already paid) forgot to book the tickets for us. How a travel company forgot to do its main job function is beyond us, but thankfully we were reimbursed. This meant that we were all staying the night in Cusco and Tasia and Adam were going to have to catch a flight from there instead of Puno – which they fortunately were able to do after some last minute airline finagling. So we parted ways the next day and FiveBadTourists became three as my twin sister Megan still had a few more days in Peru. Still wanting to go to Puno to see Lake Titicaca we decided to opt out of the overnight bus experience and instead booked a tourist day bus. We loved this option because it broke up the seven hour ride with quick 15 minute stops at four different sights on the way to Puno and also included a buffet lunch. It made the ride pass by smoothly and prevented us from enduring a bad night’s sleep on an overnight bus. 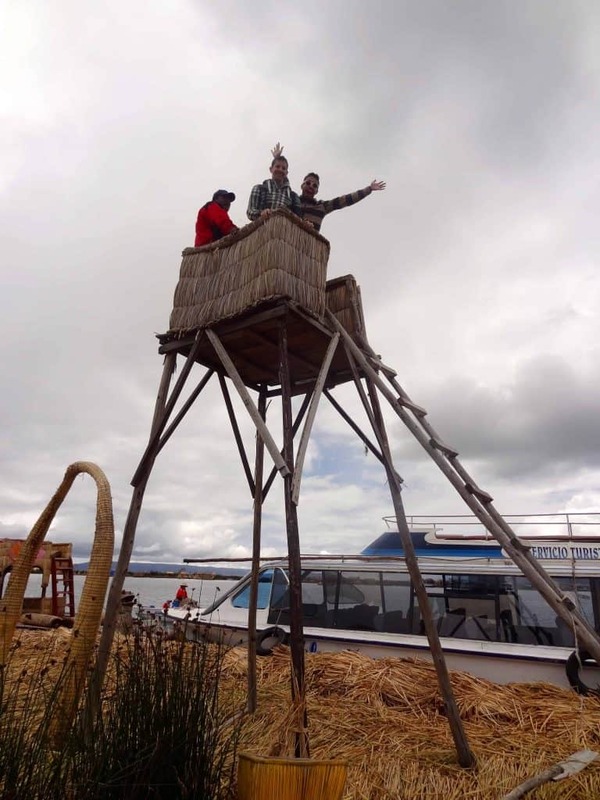 Once we arrived in Puno, we booked a morning tour through our hostel of the floating islands of the Uros people on Lake Titicaca. These islands are made of bundled reeds and take about 30 minutes to reach by boat. It was interesting to see such a specific way of life and how it is achieved. But at the same time, it’s apparent that a lot of the tour is a gimmick for tourists. 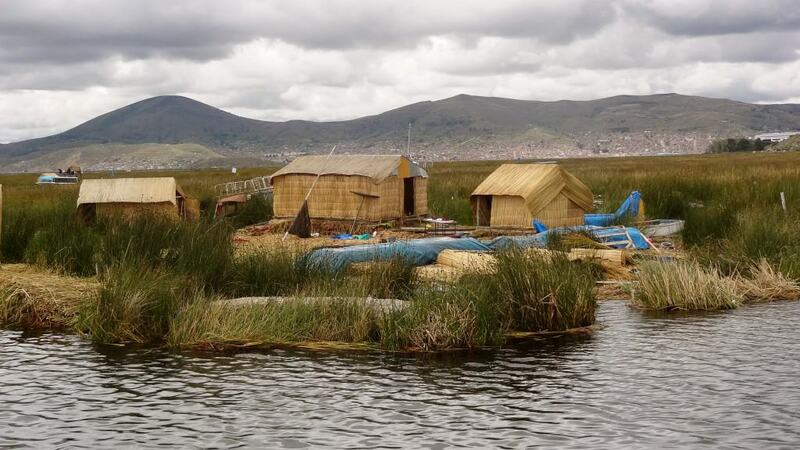 From what we’ve read, most of the Uros people now live on the mainland for easier access to necessities. And while you may see them traditionally dressed on the island tour, it’s not necessarily what they still wear as a T-shirt and jeans are common as well. While on the islands you’re also awkwardly pressured to purchase handicrafts and to pay for another boat ride to see a different island which you can’t really say no to since your whole group gets picked up on that island. Still, gimmicks aside, the facts are true and it really was how the Uros people once lived which is interesting to experience. All-in-all, is Puno worth visiting to see Lake Titicaca? We would say no. Not really. 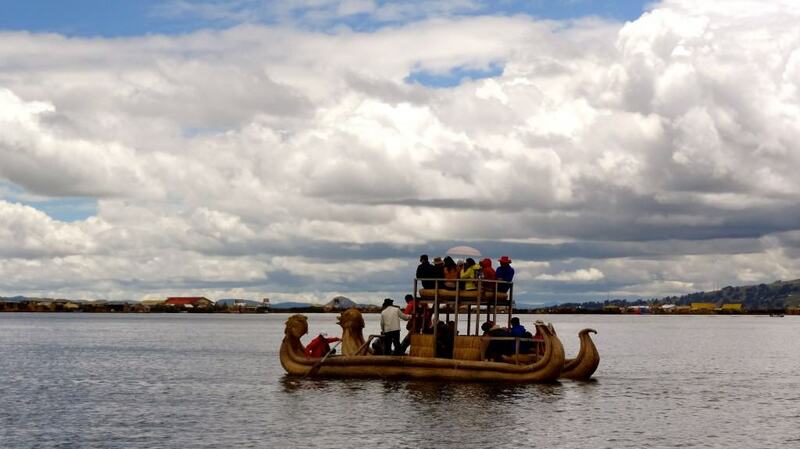 Peru has fantastic, inspiring sights to explore and Puno is just not one of them. Though if your itinerary and location allow on a future trip to Peru, it might worth stopping over and deciding for yourself. 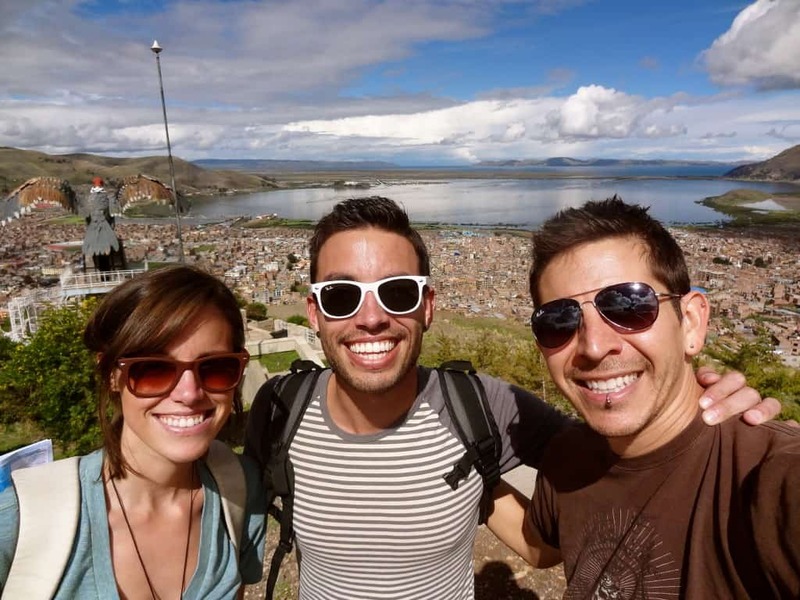 Click to see photos from Puno! Those are pretty cool pictures! I couldn’t believe how good the food was when I went there. Got some pretty awesome pics myself too on my blog. Yea, it was definitely an interesting experience! That’s awesome that you stayed the night on the islands – how fun! FiveBadTourists: Time to Machu The Picchu!